The question is in reference to the swarms of illegal minors pouring over the border. No, they are not “our children”. They most likely “belong” to Mexico. The phrase “our children” implies that their continued upkeep is our ongoing responsibility. The only children you are responsible for are those that you procreate yourself or voluntarily agree to take care of through formalized arrangements such adoption and foster care. If that is the standard that the Episcopal Church intends to rally around as fundamental Christian doctrine, does it intend to renounce gay marriage and ordination as well as abortion? For these issues are much clearer in divine revelation than how the denomination is deciding to interpret and implement admonitions regarding the treatment of strangers. There is nothing in that text demanding you turn over your house without question and allow it to be ruined beyond recognition. It is an observation of fact that the Episcopalians are one of the denominations that revel in ornamentation and finery. So is the Bishop a bigot and a snob if he does not invite the unmannered rabble into his cathedral to use the baptismal font as a toilet and urinal? There is a proper way of doing things. It is exactly because these individuals are worthy of dignity as human beings made in the image of God that they should be expected to abide by the laws and regulations imposed upon the remainder of the species. Folks, the CCFM needs your financial support. We are at a cross roads with the ministry and are seeking individuals like yourself to help us to continue to grow and spread the Gospel of Jesus Christ around our Nation and the World. We are very aware that times are financially tough on most everyone and so it is, also on the CCFM as well. We have been growing steadfastly for almost 7 years now. And gone through many changes as we have tried to grow and help others with what we do. We are unique in many aspects of our ministry work, unlike many other churches and ministries. One of our policies is to do that which other churches and organizations are not doing within the communities where the CCFM functions. As many of you know none of our ministries or churches accept tithes from anyone. We work with the Poor, Homeless, Addicted, Mentally ill, the Disabled and the Elderly as well as the general communities in which we serve the Lords flock. And since we work with the poorest of our nation and world, we are finding it a major struggle to continue in the areas of administration and in supporting the most needy with aid of all types. Such as Bibles, Education equipment and materials, Food, Clothes, Medical supply’s and equipment. To name but a few. We also know that there are many organizations that work in these areas that are also seeking your assistance. We know that this can be burdensome and taxing to say the least. Though I have asked in the past for your support on a number of programs, we have yet to receive any. 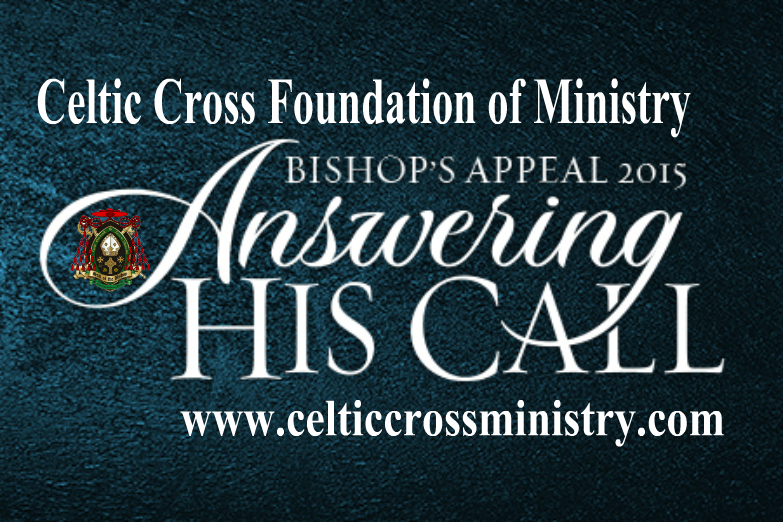 So I am asking now for you to pray on this matter and find it in your heart as God leads you to send us a love offering or even help us with a monthly contribution if you can and are will to do so. In the almost 7 years of operating, we have received less than $1000.00 USD and though it is greatly appreciated and we truly did stretch it as far as it would go, it is not enough. Yet by our Lord’s Grace, we have been able to continue to work hard for you and expand the ministry. Providing as much as we can when and where we can. Each of our clergy invest their own personal incomes to their ministries just as the CCFM does here at the global hq. However, I stated, we are at a cross roads. We can continue to progress as we are or with your financial help and support, we can move onto the next phase and reach out and do so much more for so many more, here at home in our own nation and around the world. I wish to thank you for your time in reading this plea for your help and no matter what your decision, we truly do love and appreciate you and your interest in what we do and what we try to do for others. May our Lord bless you abundantly and always keep you safe and healthy. This entry was posted in CCM's Virtual Chapel, Christian Warrior Network, Religion, Show your Support for the United States of America and those who serve., Uncategorized and tagged Bishop's Appeal, Church, Donate, Help Needed, Help Wanted, Ministry, Worthy Cause. Bookmark the permalink. In a SermonAudio podcast, the pastoral staff of Berean Baptist Church in Fayettville, North Carolina mocked those holding to a pretribulational view of the Rapture. It was snidely remarked that most American Christians cannot handle the idea of enduring systematic global persecution. But unless this church offers survivalist training that includes the use of firearms and improvised explosive devices, aren’t these pastors suffering profound cognitive dissonance as to what they profess to be coming? Even worse, wouldn’t they be guilty of an appalling degree of pastoral negligence in failing to prepare those subjected to their spiritual teaching? Criticisms such as those enunciated by the pastoral staff are also thinly veiled insults that Americans have things too comfortable. But what about this particular congregation? For when the armies and operatives of the Anti-Christ besiege the nation, won’t this church’s sprawling entertainment center with its coffee bar and such make a tempting target? For this church is so rich that, despite going out of its way to inform the world how much the pastoral staff despises the American flag, there isn’t simply a single flagpole on their property but at least five in front of the entrance to this sprawling complex in its SermonAudio profile photo. Ecclesiastical rabblerouser Jim Wallis went on a fast in protest over cuts to social programs in the Congressional budget. Too bad he didn’t starve to death. That’s so harsh, leftists will snap. It must be pointed out that Wallis pulls these kinds of stunts on his own. No vile conservatives withheld or denied him access to food. Interestingly, in light of Wallis’ acceptance of abortion and gay unions hidden behind verbal obfuscations to deceive all but the most discerning, apparently fasting might be one of the few Biblical practices that he takes seriously. However, in his zeal to show how superspiritual he is, it seems Wallis can’t even engage in this practice in an appropriately Biblical manner. According to Matthew 6:16-18, aren’t you supposed to comport yourself in such a way that no one else other than God is supposed to know that you are conducting a fast? Wallis does not seem to so much utilize fasts as a way to draw closer to God but rather as a way to express his profound hatred of the American way of life and the free market system. In other words, Wallis does not so much want you to make your own free decision to join him in this form of physicalized prayer. Ideally, what Wallis longs to see is a deprivation imposed from above upon those in the despised “middling orders” unable to rise to the level of mystic contemplation preferred by Wallis and his gnostic elites.